The main character in Blood and Moonlight is Kiara, she is half Fae and half wolf, and she has grown up hiding/ignoring the wolf side of her and keeping a lot of what she feels deep inside hidden away. Being ashamed of part of your self is not easy feat. Kiara’s is plagued by the death of her mother who was killed by wolves and Kiara cannot forget that, all Kiara wants is to find answers to who killed her mother. When Kiara meets Devlin McClure from the local pack he has come to ask her for her help. Of course Kiara cannot stand wolfs and it doesn’t matter that one of the missing pack members happens to be her father. At first Kiara does not offer to help and why should she help find her father as far as she is concerned he had died long time ago. Changing her mind Kiara and Devlin head out to solve the mystery of missing pack members and her father. Besides the mystery that unfolds so does the romance and tension between Devlin and Kiara. Kiara at first has every excuse why they should not allow anything to happen between herself and Devlin but he is irresistible and hot and smells so good. Kiara and Devlin do not have an easy road ahead of them and both being such strong independent people they can’t even see what is right before their eyes …..that they are fated to be with each other. 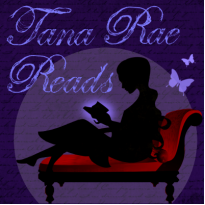 Blood and Moonlight is a well written novel, I really liked that Kiara is part Fae and Wolf this is something you don’t read too much, I liked that it was different from other PNR reads. The novel was easy to read, has a lot of interesting character’s and the romance between Kiara and Devlin is exciting and you feel the tension building between them. There is so much more to this story the history of Kiara’s family, her tattoos and even Devlin comes from a strong and power background. This is a must read. Moira Keith has done an excellent job and her writing is good, I cannot wait to read more of Moira writings. I would recommend Blood and Moonlight to anyone who enjoys Paranormal Romance/Mystery and a touch of Fantasy to pick up this novel. 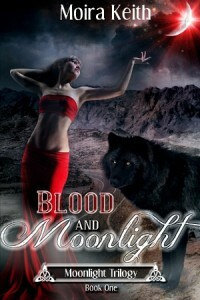 I have rated Blood and Moonlight a 4 star rating and cannot wait to read the next book in this series.